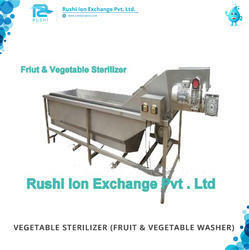 Pioneers in the industry, we offer fruit and vegetables washer from India. Suitable for various Fruit and Vegetables, potatoes, apple, mango, guava and Vegetable like potato carrot, cucumber, beet root . complete stainless steel body and supports, products are subject to soaking agitation fresh water rinsing specially designed take-off conveyor to transfer the product from the washing tank to the discharge end. compact unit with a wide range of capacity. Looking for “Fruit and Vegetables Washer”?